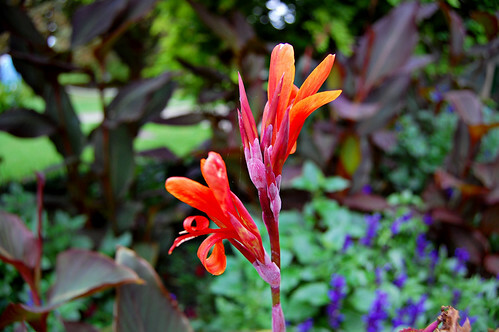 Stalk of Fire. An old photo that I rescued from a dusty folder on the hard disk to brighten up a dull winter day. Taken an August ago, in the gardens of one of South East London’s best days out, Eltham Palace. Nature will find a way. 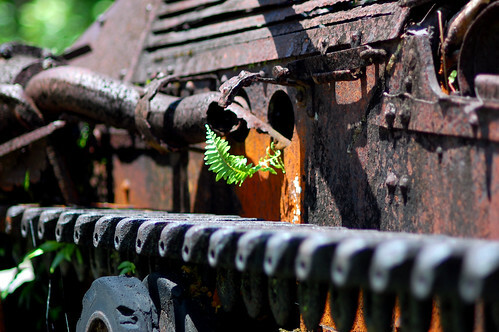 Close up of an abandoned WW2 tank on Peleliu. I think it made a nice memorial; nature is reclaiming it. The full story on my trip to Peleliu is here. Engine lichen. 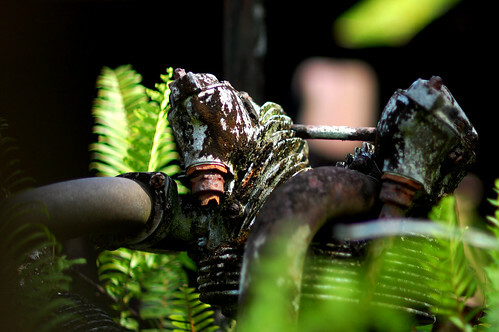 Another shot from Peleliu, this time of lichen-spotted machinery in the engine bay of an old landing craft. 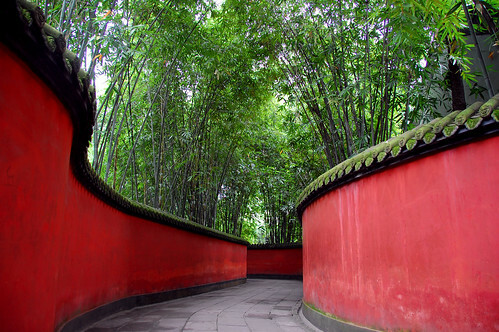 A path winds through the grounds of Wuhou temple in Chengdu, the capital of Sichuan province, China. 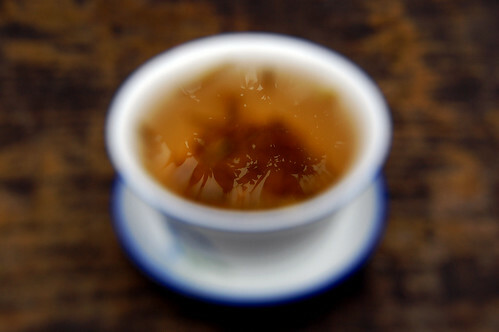 Reflections of the garden in a cup of tea at the teahouse in Wenshu temple, Chengdu. The city’s temple teahouses are full of people reading the papers, chatting and playing cards and relaxing on rickety bamboo furniture over endlessly refilled cups of tea. As a tourist they’re a perfect experience; everything from the colours to the smells feels right. The only strange thing is that most of the Chinese there are old. The kids are all in KFC or Starbucks. This entry was posted in In My Life, Photography and tagged china, nature, peleliu. Bookmark the permalink.